My husband and I have decided that, in lieu of buying each other anniversary gifts each year, we would take a trip or engage in another cool experience. Last year we went with friends to the Las Vegas rendition of Crazy Horse Paris, and this year we met my sister and her husband in Sonoma County, California for a long weekend. We stayed at the Old Crocker Inn bed & breakfast in Cloverdale, which I highly recommend. It’s nestled in the hills outside the northernmost town in Sonoma County, and had a very rural retreat feel to it. Last time we were in California wine country we stayed in a bed & breakfast on Main Street in Napa, and I really enjoyed the more remote setting this time. 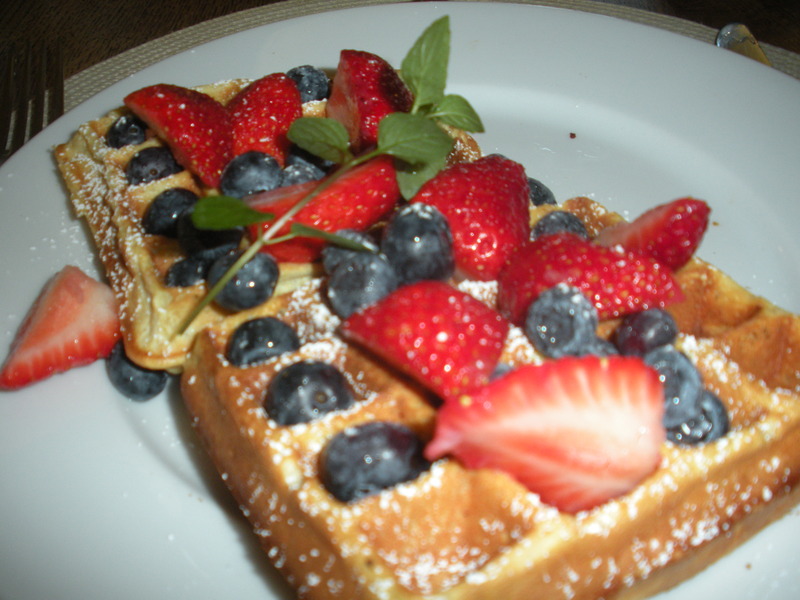 The only drawback is that it’s at least a 15 minute drive to area restaurants and other activities, but daily gourmet breakfasts are served and they were accommodative to my vegetarian diet. 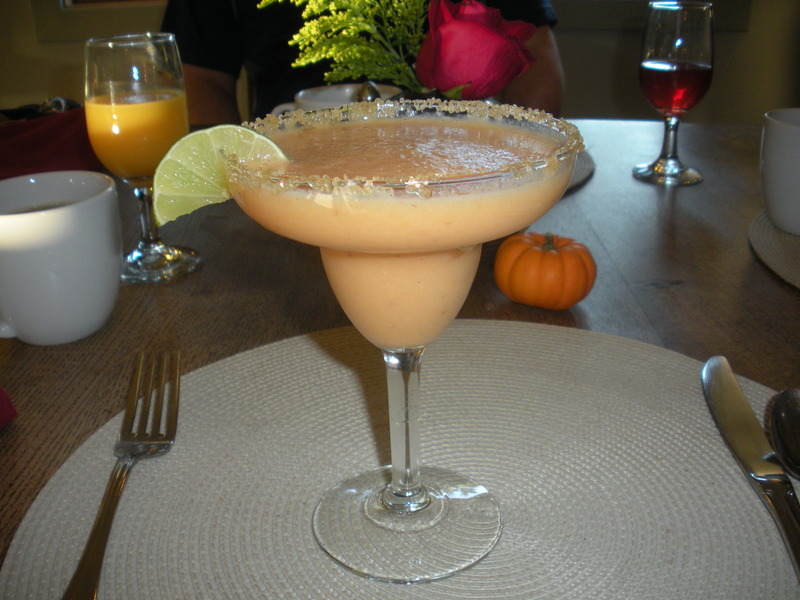 and bring your appetite, as a typical breakfast is 2 or 3 courses! So that I could eat/drink more during my trip, on our first full day in the region I ran the Healdsburg Wine Country Half Marathon. I prefer small, scenic races and this event definitely fit the bill with a race limit of 2,400 runners/walkers and a course that winds through Sonoma County vineyards. It’s a hilly course, so not the best for personal records, but I’m not a very competitive runner. My only goal was to finish in under the 3:30 race cut-off (which I did without a problem), and I stopped along the way to take pictures of the gorgeous scenery and even sample a delicious sauvignon blanc. I ran the race to raise funds for Girls on the Run of Las Vegas and I was pleased to see that Girls on the Run of Sonoma County was a featured charity partner of the race. 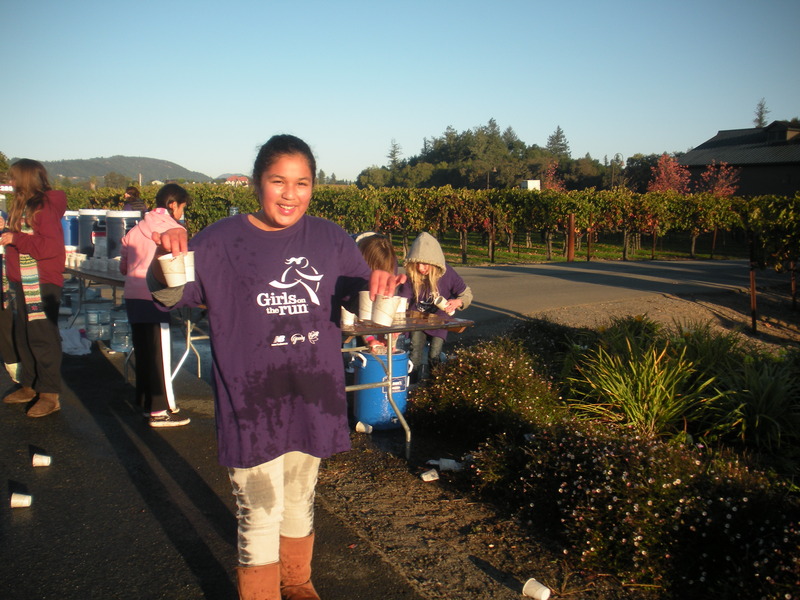 It served as much inspiration that Girls on the Run participants served water at the aid stations. After finishing the race, and enjoying the scent of the vineyards all along the way, I wanted nothing more than a glass of wine. 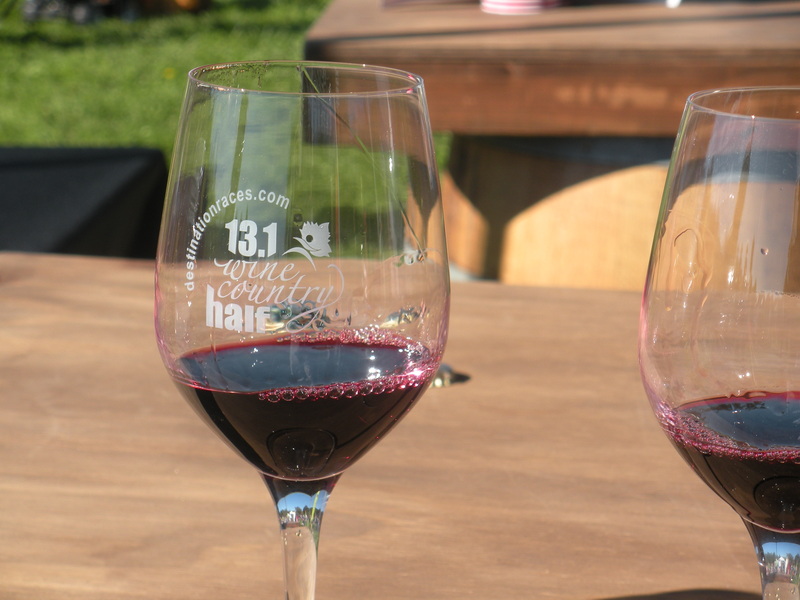 Fortunately a souvenir wine glass is included with race entry, and the finish area featured a wine festival at Lake Sonoma with complimentary wine tasting. Unfortunately not too many local wineries showed up and the tasting lines were a bit long, so we only stayed at the festival for a few samples. However, I must give props to Destination Races for putting on a stellar race overall. 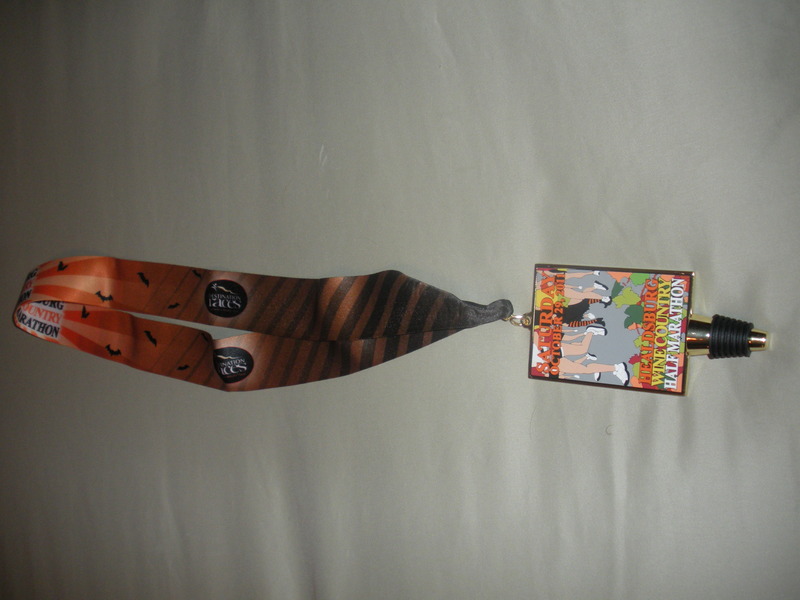 I also got one of the best race t-shirts ever (a ladies’ cut long-sleeve technical tee) and a kitsch finisher’s medal. For wineries/tasting rooms we visited during our 4 days in Sonoma County, we visited Fritz, Sbragia, Raymond Burr, Bella, Preston, Quivira and Coppola. Our favorite was Preston. Most tasting rooms seemed to charge around $5 – $10 for a tasting fee, for which you got to sample 4 or 5 different wines. The tasting fees are waived if you end up purchasing a bottle of wine. 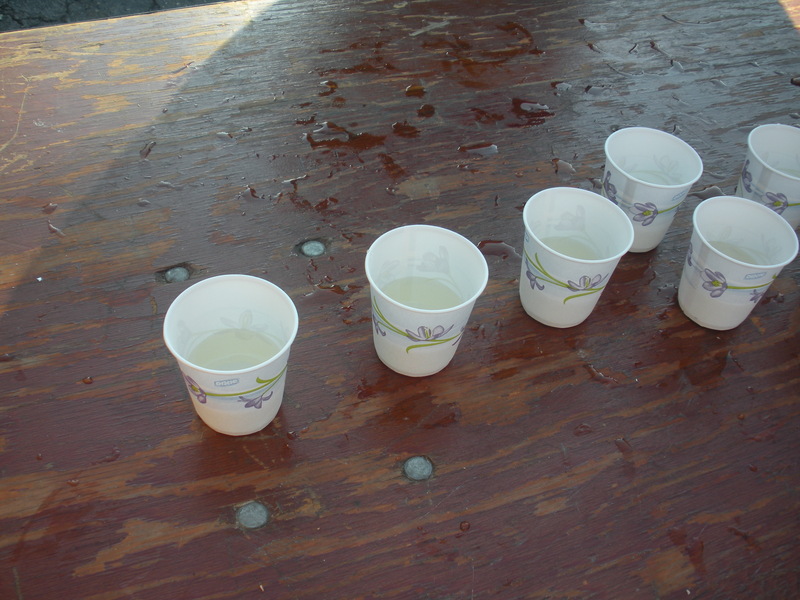 Zinfandels are the specialty of the region, however, we seemed to purchase predominantly white wines. 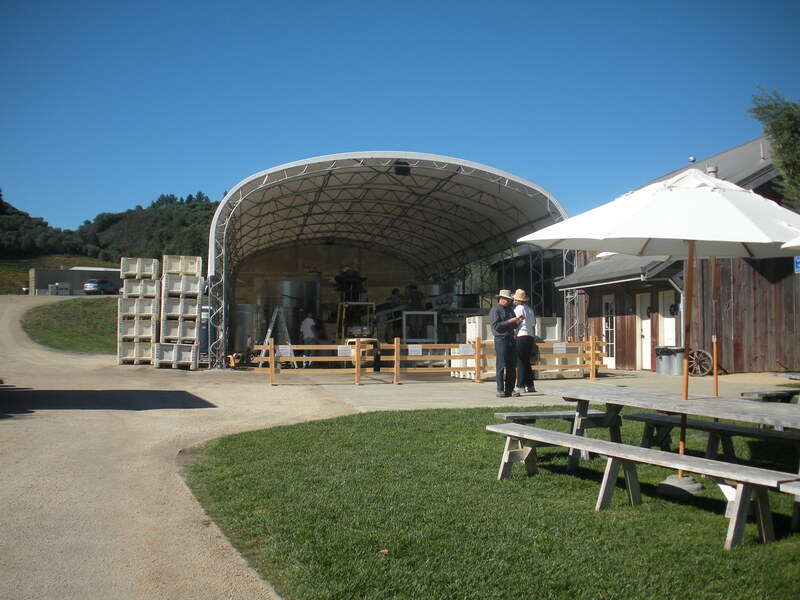 Taking a break from wine-tasting, we visited the hip community of Sebastopol. 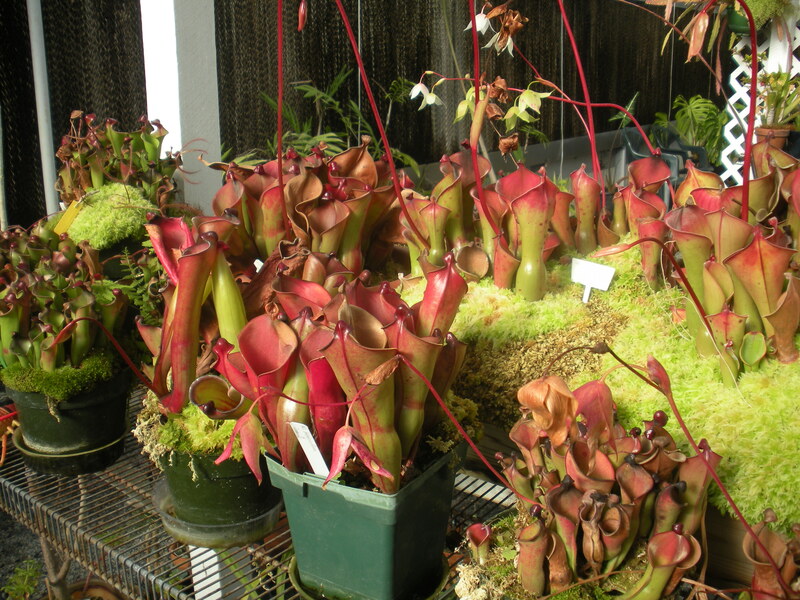 While there, we stopped at California Carnivores, the largest carnivorous plant nursery in North America. Not sure about transporting a new plant in our upcoming move and what kind of pests we’ll encounter at our new home, we were pleased to learn that they ship plants throughout the United States. My favorite plant was the Sun Pitcher, pictured below. 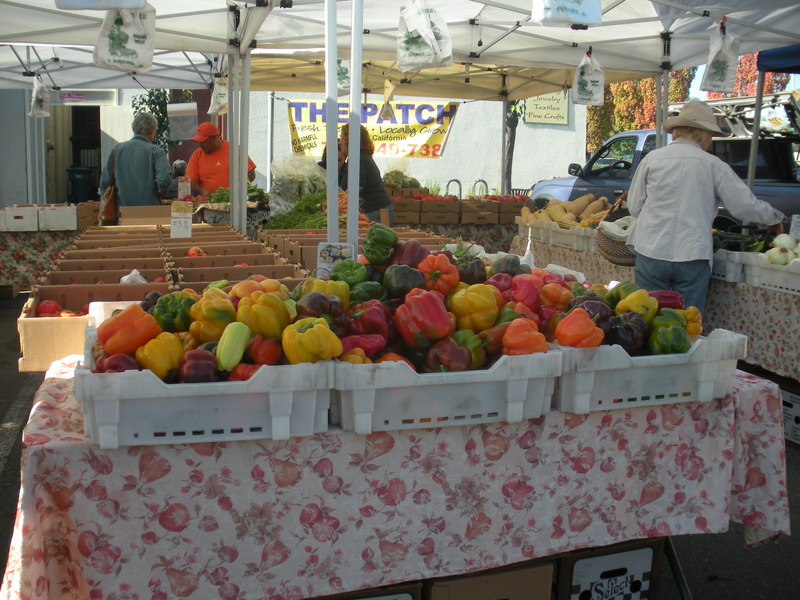 Also in Sebastopol we visited their Sunday farmers’ market, where we bought some of the best food I’ve eaten in a long time. We made a nice picnic with locally made bagels, spicy goat cheese, smoked salmon and fresh fruit, paired with a bottle of Raymond Burr Cabernet. 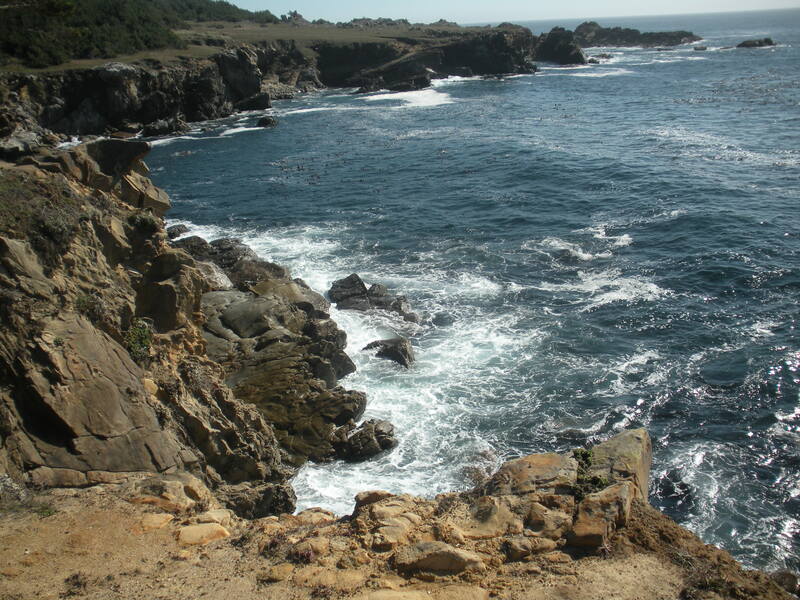 This picnic was enjoyed at Salt Point State Park on the Sonoma Coast. While we didn’t find the tide pools this park is famous for, there’s some pretty spectacular views of the Pacific Ocean! One of the best road food restaurants we ate at on our trip was the World Famous Hamburger Ranch and BBQ in Cloverdale. They have some tasty local microbrews if you’re looking for a break from wine (I recommend the Cloverdale Ale). 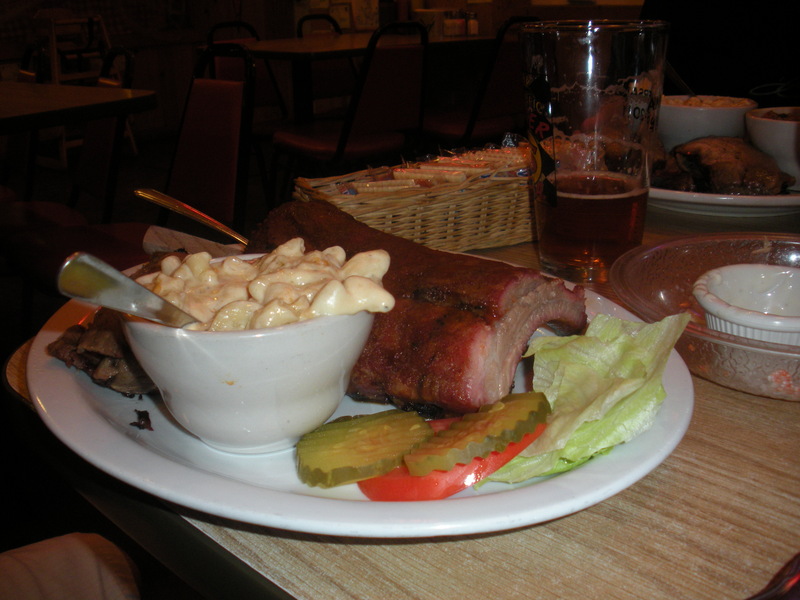 My husband devoured his plate of ribs and mac & cheese, and they also have a generous salad & garlic bread combo for vegetarians. 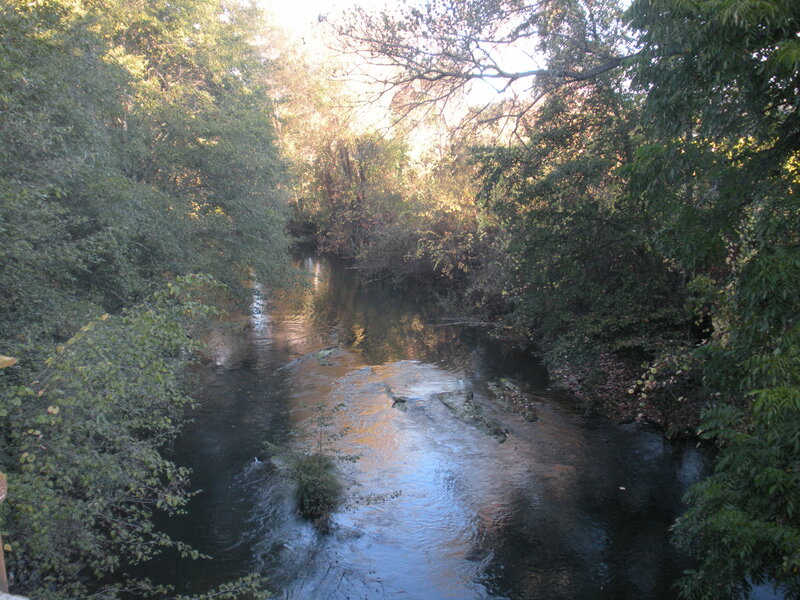 This entry was posted in Becky's Adventures and tagged carnivorous plants, Girls on the Run, half marathon, roadtrips, Running, Sonoma County, Wine Country. Bookmark the permalink.